IT Revolution, more importantly, the Internet, has played a significant role in changing the way businesses operate. This change has brought every stakeholder in the business closer to the processes at large. Businesses which were earlier confined to brick and mortar offices are now operating on a global online platform surpassing the boundaries of demographics. With the ease of connectivity even in the remotest of areas, thanks to the Internet, those who went online with their businesses earlier, leveraged a lot and had an upper hand among their competition. Businesses irrespective of their domain are looking forward to expansion by making a significant online presence which could help them reach a wider target audience across different locations. Keeping this in mind, it is very crucial for businesses to have a highly efficient Mobile App. Since smartphones also have their own platforms, it is always important to have a cross-platform strategy to ensure a wider reach. By cross-platform, we mean that the apps for different platforms are built from a single code base. This is unlike native app development, where you are required to write separate code for each platform that you want to support. Let’s explore the benefits of developing a cross-platform app before we discover the best cross-platform development tool for your business. Businesses aim to reach the maximum target audience by spending on software infrastructures like apps and websites. Since there are multiple platforms to cater, such as iOS and Android, each of them with huge capabilities and users, having your business (or it’s apps) on all the platforms can be highly beneficial for your business. Developing a cross-platform app for your business would certainly mean savings on the cost of developing and maintaining them on individual platforms. The time saved can be better utilized in marketing and making your business more visible to your target audience. The purpose of every business is to be as efficient as possible. By efficiency, we mean that one should strive to make processes and operations as smooth as possible. Smoother processes mean less time in dealing with nuances and more time on focusing on operations like marketing and sales. Internal apps like CRM on mobile, can help in reducing the time to serve the needs of your customers. Mobile app development is full of possibilities for your business. However, just like a business, the aim should be to make better apps in less time which are available on as many platforms as possible. There are a few tools which are used to develop cross-platform mobile apps. The most popular and widely used tools out of these are React Native and Flutter. Let us draw a comparison between these two. React Native is a cross-platform mobile app development platform that is created and supported by the Facebook and open source community on GitHub. It is going strong and popular unilaterally until it was when Flutter came into being. Since the inception of Flutter, React Native has witnessed some stiff competition. Flutter on the other hand, has gained huge popularity amongst the developers because of ease of development and better tooling as compared to React Native. When in comes to performance though, we have seen that Flutter is better as compared to React Native. This is because of the way Flutter renders its widgets natively for each platform. Although both the React Native and Flutter have up to date documentation to support the developers, it is Flutter which has more lean, clear and precise documentation out of the two. Both the React Native and Flutter enjoy a fleet of big brands such as Ali Baba, Facebook, Google Greentea, Tencent, Instagram and Pinterest as their esteemed users. With their own sets of advantages over each other, there are factors that makes it more inclined towards Flutter which has still managed to win the hearts of its potential users despite a later market entry. Flutter with its ability to deliver a better performance as compared to React Native, enjoy an upper hand in the competition, which makes it highly recommended among the developers. Although Flutter too has its own set of limitations, we believe that those limitations will be addressed soon by Google and the community. 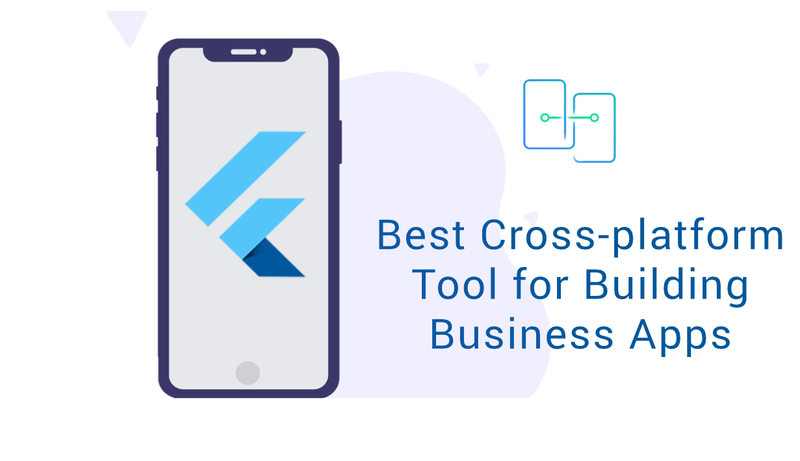 On a closing note, Flutter is the best cross-platform mobile app development tool that you are looking for your business. We also believe that Flutter is the future of cross-platform app development. At CitrusLeaf, we have been developing some of the finest cross-platform mobile apps using Flutter, since its inception. Our open source Hacker News Client on Flutter would help you get an insight into our expansion in terms of Flutter’s limit, exploring new horizons. Planning to develop a high performing, cross-platform mobile app with amazing UI for your business, then feel free to write us at hello@citrusleaf.in or contact us and we will be obliged to help you with our reliable Flutter App Development Services.